What is the Youth Health Centre (YHC)? It’s a confidential space within the school where youth are the focus. Anything that is discussed in the YHC, stays in the YHC. 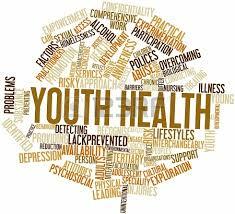 What reasons do youth visit the youth health centre for? Lots more! Anything you want! NOTE: If you need a copy of your immunization record, please call the immunization team at Public Health at 481-5890. Have your date of birth and health card number available. The school does not have access to immunization records. Support services are offered through the summer months. Please call/email Karrie to arrange for services during this time!